Fulham boss Chris Coleman today revealed a recent conversation with David Moyes has given him comfort during a difficult season which has been marred by the threat of relegation. Coleman was showered with praise last May after guiding Fulham to their best ever top-flight finish and expectations were high as the club began their fourth consecutive Barclays Premiership campaign. But they have rarely been out of the bottom six, and although unlikely to drop down into the Coca-Cola Championship, they are still only two wins clear of safety and face a nervous run-in. Coleman admits he has been a victim of what he calls "second season syndrome" but takes solace from the plight of Moyes who has put Everton on course for a place in the Champions League after flirting with relegation last season. "Everybody said the second year would be hard and it's certainly turned out that way for me," he said. "It's been very tough. I talked to Moyes not so long ago and he told me that when he took over Everton in 2002 everything was great. "But no matter what he did during his second full season in charge nothing went right. Luckily Everton finished fourth from bottom and escaped relegation. Then this year they have been superb. "He admitted he doesn't know why it happens like that, and I don't either. I've talked to managers who have been in the business longer than me and it gives you confidence to know they've all been through it." Coleman and Moyes have walked a path that Stuart Pearce hopes to tread, with the former England defender aiming to use the club's performance over the next month to help him become permanent Manchester City boss. City travel to Craven Cottage tomorrow with Coleman praising the impressive start made by the Blues' caretaker manager and warning of what lies ahead. He added: "I wish Stuart all the best. I hope he's going into it with his eyes wide open because you need to. "It's the best job in the world after playing and it's also the toughest. "I don't know too much about Stuart. He was a well respected player who had a glittering career, but playing and managing are two different things. He's had a good start though and I hope it continues." Pearce has introduced a gruelling training regime since taking over the City coaching reins and according to lifestyle magazine Men's Fitness Coleman should follow suit at Craven Cottage. Using the Body Mass Index method of assessing if a person is overweight, the magazine analysed every player in the Premiership and found Fulham were the most out of shape team - with midfielder Mark Pembridge one of the league's five fattest players. 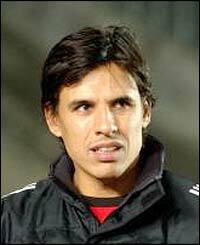 But Coleman said: "The article was nonsense. If you judge rugby players on the same standard they are all obese. But they're not obese these days. "Mark Pembridge's body fat in 9.5%, so it's total rubbish. It's just a bit of PR work from the magazine. "I was amazed because Sol Campbell was meant to be the fattest player in the Premiership and he's a machine." 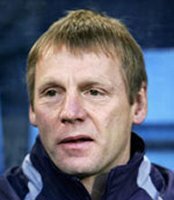 Man City caretaker manager Stuart Pearce has accepted responsibility for a major factor in Manchester City's decline towards the end of Kevin Keegan's reign. Pearce believes high-intensity training sessions have had a significant impact on the Blues' performances during his three games in charge, culminating in last Saturday's win over Liverpool. On Saturday, City head back to the capital looking for a win at Fulham which could see them jump back into the top half of the table and maintain an outside chance of landing a UEFA Cup spot next season. The feel-good factor around Eastlands is almost tangible, with fans convinced Pearce's presence on the touchline has resulted in far greater urgency from their team. It is a belief even Pearce agrees with, although he claims it was his own failings that contributed to a slide in the first place. "When I took over, the one thing I needed to improve was the tempo of our training," he said. "It was my responsibility more than the manager's. We had taken our eye off that a little bit and let the tempo deteriorate. "If you don't train in the manner you are going to play at the weekend, there is no way you can pick it up. "We have definitely made it harder for the players, yet they seem to enjoy it more." Even though he has been in charge for such a short period, Pearce feels the results of the new hard-line regime are already being felt in City's Barclays Premiership performances. "When we went to Tottenham in my first game, players were happy to be brought off for a rest after 75 minutes," he said. "At Charlton a fortnight later no-one wanted to leave the pitch and against Liverpool last week the character was getting stronger still. "I don't see anyone looking at the bench anymore and saying I have a slight knock I want to come off. "The players are fighting for places, they want to play and that can only be a good thing for the club." Suddenly, after mixing and matching his wafer-thin squad, Pearce finds himself with genuine selection issues to wrestle with. Shaun Wright-Phillips has proved his fitness with a vigorous week's training and is available, as are Steve McManaman and Ben Thatcher, who also missed the Liverpool win. Despite the extra resources, it seems probable - given Wright-Phillips has not played for nearly seven weeks since suffering cartilage damage in the win at Norwich - that Pearce will stick with last weekend's starting line-up, allowing Claudio Reyna to continue on the right-hand side of midfield. Although City officials insist there will be no confirmation of Keegan's permanent successor until the summer, such has been the impact Pearce has had, it would take a major run of poor results for him to be denied the first managerial job of what he hopes will turn into a long career. He is certainly more prepared for the task ahead of him now than he was during an ill-fated stint at Nottingham Forest nine years ago. "This is the right time for me," he said. "Apart from when I am standing on the touchline, I am a much more organised, calmer person than I was when I took over at Forest. "Nine years ago, I couldn't relax at all. Now I feel more comfortable with it all. "I have trained for it in a sense, so it's not like I have been thrown in at a massive club and been told to get on with it."